John Cornyn says he can best serve Texas from the U.S. Senate and does not want to be considered to replace ousted FBI Director James Comey. "Now more than ever the country needs a well-credentialed, independent FBI director," he said in a statement. "I’ve informed the administration that I’m committed to helping them find such an individual." Cornyn's announcement came a day after the Washington Post and other media outlets reported that President Donald Trump had disclosed classified information in a recent meeting with Russian officials. When asked by reporters Tuesday afternoon if the information revealed in the Post report led Cornyn to his decision, he said "no." 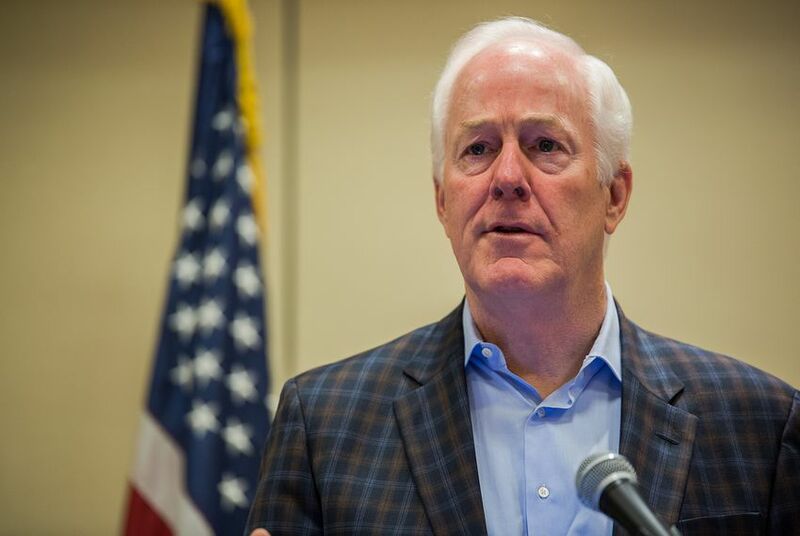 At first blush, it appeared Cornyn could be an easy bet for Senate confirmation. He is a popular senator who is well-liked among Republicans and less of a lightning rod to Democrats. But the rancor in Washington since the dramatic Comey firing escalated over the past week, to the point that even a congenial figure like Cornyn was considered problematic because he is a partisan Republican. Day by day, most Democrats and at least one Republican senator called for a less-political appointee. Trump's firing of Comey last week set off a firestorm, particularly after Trump confirmed suspicions that the FBI's investigation into his campaign's ties to Russia played a part in his decision. In the immediate aftermath of the Comey firing, Cornyn appeared reluctant to consider the idea of running the FBI, telling reporters, "I'm happy serving my state and my country." He then sat for an interview for the position on Saturday. That initial change of heart, according to a source familiar with his thinking, was due to his former Senate colleague and friend, Attorney General Jeff Sessions, asking him to not rule out the job, and out of an interest in stabilizing the FBI and Department of Justice. In the Senate, Cornyn will remain majority whip. And ambitious Texas Republicans will have to wait a while for another shot at the U.S. Senate. U.S. Sen. Ted Cruz is up for re-election in 2018, but there is little chatter about a strong primary challenger at this point. Cornyn is up for re-election in 2020.